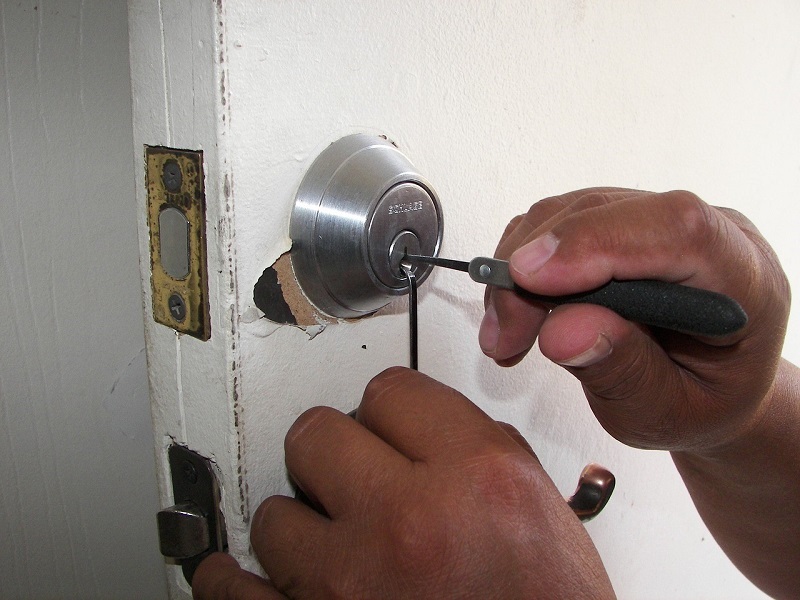 A good locksmith can provide many services. We call on locksmiths for help with the locks in our homes, our cars, and our businesses. We count on locksmiths to be available 24/7 for help in an emergency situation. Professional locksmiths, such as the team at NELA Locksmith, keep themselves educated in the various types of lock so they will be ready and able to provide whatever kind of service their customers need. And in many cases, it is best to trust your lock and key needs to the professionals. But there are also times when you can handle the situation yourself, without calling upon professional expertise. The DIY approach to lock and key problems is certainly a way to save money. But when is it wise to take the job into your own hands, and when should you contact a pro? If you’ve just moved into your home and are ready to change the key that’s used to open the front door, it’s time to rekey the locks. You can call a locksmith to do this if you prefer. You can also purchase a rekeying kit. This kit contains all the tools you’ll need to complete the job of converting your lock to a new set of keys—although you’ll want to make sure you have your old keys handy. If you no longer have any keys to your house, you should turn to a locksmith for this job. Verdict: DIY, unless you don’t have a copy of your house key. Rekeying isn’t always a viable solution. If the lock has worn down to the point where the mechanism itself must be replaced, rekeying will do you no good—you’re going to have to remove the lock and replace it with a new one. This is a process that generally involves tools most people don’t have sitting around the house, such as hole saws. For that reason, you may not be able to take on this project on your own, and should consider calling in the pros. If the lock is broken—or if the key has broken off in the lock—you’re in a very tough spot. You may be tempted to try and repair the damage yourself. It’s easy to look at a key that has broken off in a lock and think you can pull it out with a pair of tweezers. But the truth is that at this point there is very little you can do, and poking at things is likely to make them worse and increase your personal frustration level. You don’t need the extra stress in your life. It’s time to call a professional locksmith to address the problem. After all, it’s what they’re best at. Remember that they have both the experience and the tools to tackle problems like these without breaking a sweat! Disaster! You’ve locked your keys in your car, and you’re not even at home! What are you going to do? Before you panic, consider your options. Many people lose their cool when they think they’ve locked their keys in their car and fail to realize they’ve actually left a door unlocked, or that their trunk crawl through lets them access the car’s interior. If you can’t get into the car, remember that your car probably came with a spare key. Is there someone who can bring it to you now? If none of these solutions work, then it may indeed be time to call a 24/7 locksmith to come let you into your car. There are plenty of lock and key situations you can handle yourself. But when it comes to the tough stuff, don’t hesitate to call in the professionals!